Cambridge University Press. Paperback. POOR. Noticeably used book. Heavy wear to cover. Pages contain marginal notes, underlining, and or highlighting. Possible ex library copy, with all the markings/stickers of that library. Accessories such as CD, codes, toys, and dust jackets may not be included. Cambridge University Press. Fine. 2001. Softcover. 0521011787 . Marker mark on top edge. ; 8vo 8" - 9" tall; 251 pp . Cambridge University Press, 2001-08-06. Paperback. Good. Cambridge University Press. Used - Very Good. Ships from the UK. Great condition for a used book! Minimal wear. 100% Money Back Guarantee. Your purchase also supports literacy charities. Cambridge University Press, 2001. First edition. Softcover. New. This book examines the issue of rational cooperation, especially cooperation between people with conflicting moral commitments. Can such cooperation - the choice made by a group and the decision by each member to contribute to that choice - be understood as guided by reason? 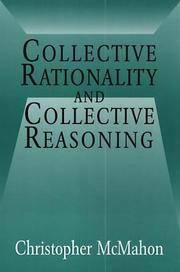 Can the activity of reasoning itself take a cooperative form? The book is distinctive in offering an account of what people can accomplish by reasoning together, of the role of deliberation in democratic decision making, and of the negotiation of the proper use of concepts. Contents 1. The reason to contribute 2. Cooperative structures 3. States and governments 4. Democracy 5. Collective reasoning 6. Overcoming malfunction 7. Reasoning to agreement 8. 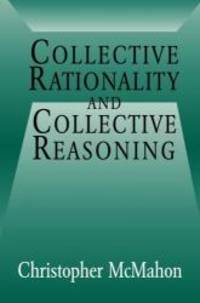 The rationality of collective reasoning. Printed Pages: 262. Cambridge University Press. PAPERBACK. 0521011787 Like New Condition. . Fine. Cambridge University Press, 2001. 1st. Hardcover. Like New/Like New. Cambridge University Press, 2001-08-06. Paperback. Used:Good. Cambridge University Press. PAPERBACK. 0521011787 Brand New ,Original Book , Direct from Source , Express 5-8 Business days worldwide delivery . New. Cambridge University Press. PAPERBACK. 0521011787 New Condition. . New.